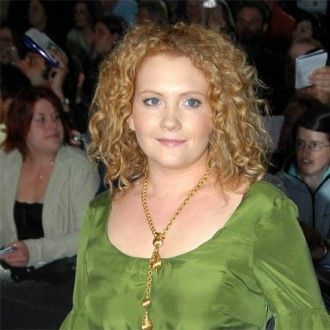 'Coronation Street' star Jennie McAlpine gets confused by her own character's storylines. The actress - who plays Fiz Stape in the ITV1 soap - admits she is struggling to understand the plotlines which involve her and her on-screen murderer husband John Stape, and says some viewers may have to watch an episode twice to grasp the concept of it. She told The Sun newspaper: "I love the storyline but I'm slightly confused. There are so many different layers and yet essentially the same story - with John lying and Fiz finding out. "I'd recommend the audience watches the episodes very carefully and perhaps more than once to understand what's going on." John is currently covering up for the three deaths he was involved in and it has now been revealed the deranged teacher will fake his own death, leaving Weatherfield residents believing Fiz killed him. According to the News of the World newspaper, the explosive episodes start when John (Graeme Hawley) discovers the Underworld factory - where he buried Colin Fishwick after he died accidentally - is to be dug up for drainage work, so he asks Fiz to help him move the body and they dump it in a canal. John then flees with their baby Hope, but Fiz is knocked down by a car so John disguises himself as a doctor and goes to visit her. He then jumps off a hospital roof and when police can't find his body, they think he has run away. They then arrest Fiz and she is taken away.